Meanwhile, in Wienermobile News …. 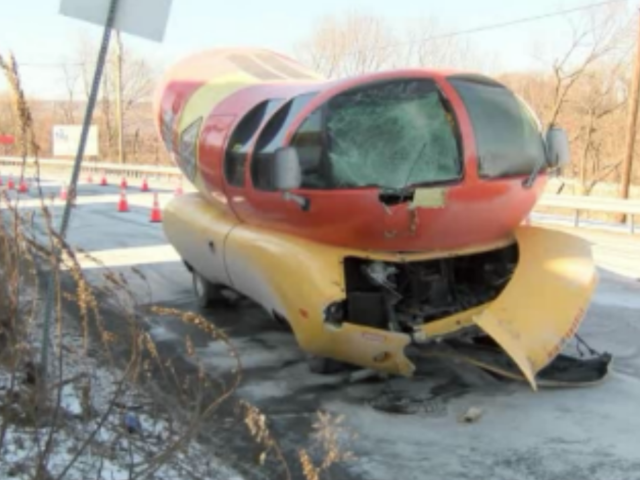 An Oscar Mayer Wienermobile crashed into a pole in central Pennsylvania on Sunday, according to the Associated Press. The self-propelled 27-foot hot dog on wheels slid off a road and into a utility pole in Enola PA, near Harrisburg. We suggest that accident investigators look for drips of slippery mustard. The front of the weenie roll crumbled in this pole-ish sausage mishap, but no injuries were reported, and there’s no evidence the driver was hot-dogging. The crash snarled local traffic, since rubberneckers relish this sort of thing. Oscar Mayer has several Wienermobiles, used to promote and advertise tubesteak products. Probably 10 wieners and 8 rolls, right? 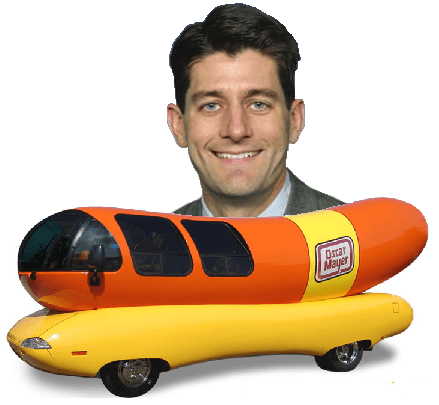 Here in DC an NTSB spokesman was unavailable, and we could not reach former Wienermobile driver Paul Ryan for comment.